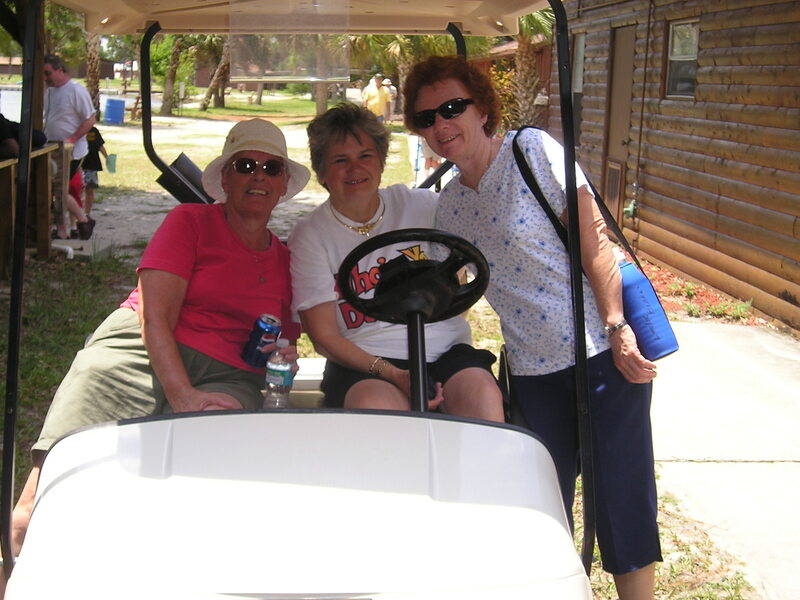 Linda G. Howard (in the center) author of The Special Gathering Blog has served within the mentally challenged community for more than 20 years. She began working with The Special Gathering in 1989. One of her first responsibilities was editing the ministry newsletters and directing the choir. Slowly, new responsibilities were added, including serving as Area Director and New Program Development. She pioneered two programs. The first in DeLand, Florida and the other in Vero Beach, Florida. Currently, she serves as Area Director for The Special Gathering of Indian River. She oversees two programs, Melbourne, Florida and Vero Beach. Additionally, she serves as co-publisher of the ministry newsletter, Connecting Pointand as the author of this blog. Mrs. Howard has a BA in Organizational Management from Warner Southern College and a MA in Ministry from Moody Graduate School. She is the author of four published books. They are Mothers are People, Too, The Secret Life of a Housewife, Sons for King Yah. Also she was the ghost-writer for Pat Williams’ book, Love Her, Like Him. Mothers are People, Too and The Secret Life of a Housewife were best sellers in the Christian publishing world. Together they sold almost a million copies. She is an award-winning author who has published hundreds of magazine articles in such magazines as Christianity Today, Charisma, and Ministries Today. Frank S. Howard is her husband. He is a retired Aerospace Technologist who worked for NASA. They have three adult children and four grandchildren. This is certainly my first stop by and I really like what I am discovering. Your weblog is so great to look over, extremely entertaining as well as informative. I’ll definitely recommend it to my friends. Nevertheless, I did have some problem with the commenting. It kept giving me an problem when I clicked on submit comment. Maybe, that can be fixed. Many thanks! Hi Linda, Penny and I are standing with you in prayer, Larry. Thank you, Larry. I. also, pray for you and Penny and your ministry everyday. Our church family is so looking forward to fellowship with the Special Gathering tomorrow! Will they present the pageant, or music only? I’d like to get the bulletin right, and can tweak that part up until midnight or so. I was a little distressed that Cornerstone wasn’t on your “performance” schedule, but on second thought, that would have been a little tough to handle an “unknown quantity” for dinner on the grounds! We’ve moved the pulpit back, so you’ll be able to center the choir on the stage and have more room than you sometimes do. Thank you, Brenda, for the wonderful hospitality of your congregation. It was such a joy to be a part of your fellowship. Everything was wonderful for us. Thank you, Mark. I appreciate all that you have done to make us feel welcomed. It’s a great church. I found that though you speak of forgiveness, that you don’t always forgive, and you hold people in their past sins. I would make sure you are practicing what you preach before you publish things on your blog or in your books. Remember to always go back to the Word of God; Judge not lest you be judged! Keep trying to get it right! Thanks for your comment, Forgiven. I would not assume that I haven’t forgiven you. Thank you. We fill up quickly. Try early. Registration begins the last week in February and male cabins fill up quick. I’ll put you on ou mailing list. You will receive CONNECTING POINT.